With Regulation Systems Compliance and Integrity (Regulation SCI), a new, highly detailed rule published by the U.S. Securities and Exchange Commission, the SEC is upping oversight of the financial securities market. The rule, which officially goes into effect in November 2015, affects certain groups within this market, including self-regulatory organizations, plan processors and automated trading systems. "Regulation SCI gives IT compliance wider scope": In this tip, Ritter talks about how the rule could very well become a yardstick for agencies that regulate other market sectors. "Regulation SCI creates new IT compliance focus":Here, Ritter talks about how regulation compliance requires IT and records teams to collaborate, and expands compliance duties for the private sector. 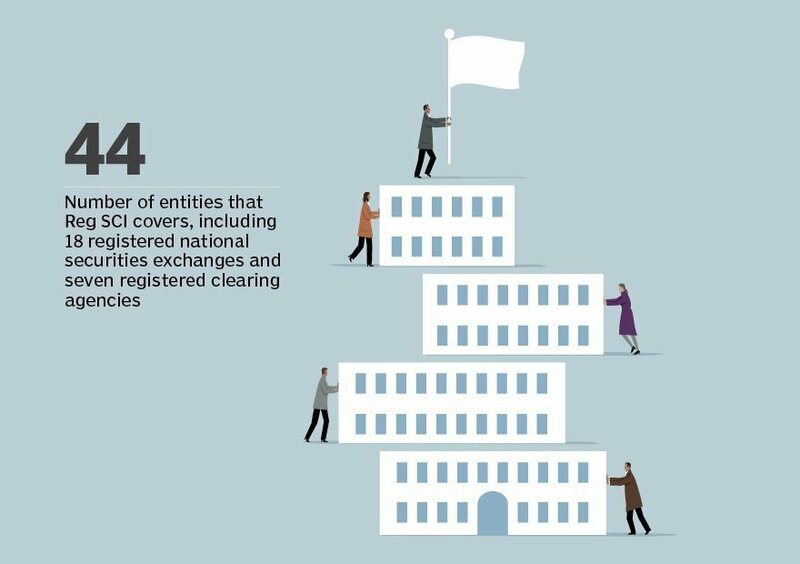 More on Regulation SCI compliance: Check out Ritter's SearchCompliance Q&A to dig deeper into Regulation SCI, including what exactly the SEC will be looking for and how covered entities can prepare for the 2016 industry-wide rollout. How have your IT processes been affected by Regulation SCI?